As a journalist, I have always been fascinated by the life experiences of others. As a science writer, I have been equally intrigued by what researchers discover about the world around us. So, when I read a recent study by the University of Virginia exploring the origin of consciousness, it combined those magical elements of scientific inquiry and human experience. To understand where consciousness may be lurking, we first have to define what consciousness is. The dictionary defines it as an awareness by the mind of itself and the surrounding world. Many Western scientists believe that consciousness arises out of the operation of the brain. Some scientists, philosophers and theologians theorize it exists outside of the body. 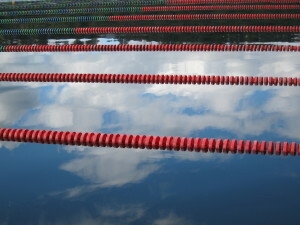 First let’s consider the theory that consciousness is produced in the brain. Observations would seem to support that. After all, alcohol and head injuries can impair the ability to think. And scientists can measure electrical activity in the brain and correlate areas of the brain to different bodily and thought functions. This observational evidence suggests the brain is involved in thinking, perception, and memory, however it does not necessarily prove the brain causes those functions. Let’s keep in mind that the idea of consciousness residing in the brain originated from a guess on the part of scientists. Brains are made of neurons. Individual brain cells can’t think or feel, but brains can. So scientists theorized that a collection of brain cells has an “emergent property” that allows for consciousness. But why this would occur is a mystery no one can explain. Researchers at the University of Virginia (UVA) suggest that the brain is actually a receiver for consciousness in the same way a cell phone is a receiver for signals that are created someplace else. They have suggested that thoughts, perception, and memories could take place in a consciousness somewhere separate from the brain. Like a radio antenna, specific areas of the brain would simply receive and process them. What observational evidence would lead them to this theory? The late Dr. Ian Stevenson, and his successor at UVA, Dr. Bruce Greyson, studied a range of human experiences that suggested consciousness may reside outside the brain. Deathbed lucidity—Reported in medical journals for 250 years, this is when someone unable to communicate due to a damaged brain as a result of trauma, stroke or dementia suddenly recovers mental clarity in the hours before death. In one study in the United Kingdom, 70 percent of dementia caregivers reported that their patients became perfectly lucid and could communicate verbally in the hours before death. Researchers suggest that perhaps once the brain begins to die, consciousness is no longer tethered to communicating through it. Consciousness without a brain—High intellectual functioning has been noted in patients with very little brain tissue or only a brain stem. One example was a honor student who underwent an MRI following an automobile accident. Doctors were shocked to find that she had only a brain stem. According to conventional medicine, someone without a brain should not be able to form any thoughts at all. Near-death experiences (NDEs)—People pronounced clinically dead, who are later resuscitated, are said to have experienced a near-death experience or NDE. What they experience while they are clinically dead often includes seeing everything that is going on around them as well as events transpiring miles away. Past-life memories—UVA researchers studied 2,416 cases of very young children who remembered past lives. Many of them recalled their previous existences in such detail that when brought to the place of their past life, they could identify places and people. They often lived in remote villages with no way to have known that the far-away places they named even existed. 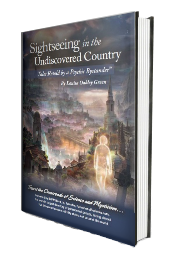 Sightseeing in the Undiscovered Country is an anthology of more than 100 stories from everyday people who have experienced NDEs, out-of-body experiences and contact with the dead. The book also shares scientific studies conducted by universities and the military on consciousness, NDEs and reincarnation. No one, as yet, can definitively establish where consciousness may reside. However, exploring the inexplicable experiences of others as well as delving into the latest consciousness studies may shift our consciousness regarding “reality” and the mysterious universe around us.